We do not really think of politics in our normal, daily lives. However, come election season, and we can barely talk about anything else; the closer the election, the more we have to discuss. However, there are many who fail to understand all the hullaballoo about politics; after all, we do see the corruption in the system and the helplessness of the people portrayed in the media each day, and we cannot help but think that politics is the root of all evil. There are also many who do not really have a very clear idea of the political situation in their region, and may or may not comment on the situation without being fully informed about it. Whatever the case, there seems to be a unanimous agreement that political awareness is necessary. In this article, we will discuss why it is so. Political awareness is essential because it is extremely important for us to know about what is happening around us. Not only that, it is also important to have a fully informed opinion on what is happening around us. Politics is not something far removed from our lives; political leaders make decisions that affect our lives directly. 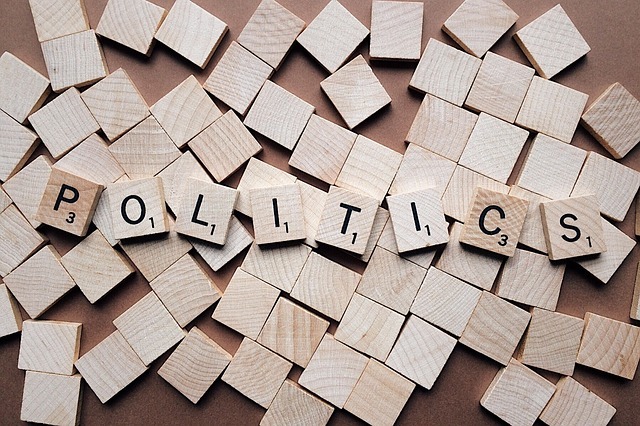 Being politically aware helps you have a say in the decisions the government will make, and even in the formation of the government that will govern your nation. Being politically aware enables you to be a better citizen. If you are aware of the political situation in your country and you do not like it, you can take an active part in changing it by becoming a part of the political system and fighting the corruption. Besides, being politically aware, you will be abreast of the new laws that are being put in effect, and this will make you a law-abiding, responsible citizen. If the law feels unfair, a politically educated person will be in a position to stand up against it by taking steps within legal boundaries. It is important to be politically aware in order to have a better government. It would be impossible for a country to function smoothly if a political system was not in place to run it. Without politics, there would be no leaders, and without leaders, the country would definitely descend into totalitarianism or else anarchy. It is important for both the leaders and the people to be politically aware for the country to function smoothly. Without political awareness, there would not be any instrument of change, neither in the political system nor in the society at large. It is important to be politically aware to be able to voice opinions that matter and that have the propensity to bring about significant and required change to the system. In any governmental system, it is necessary for the people to be politically aware for their own good. In a democracy, you need to go to the polling booths armed with facts and ample political awareness. And this awareness is not just about which candidate is making the maximum promises, but also about how many of the said promises are likely to come true. This will require you to be really aware of the political history and general information about your nation. If you don’t have all the facts, you will most likely end up making the wrong choice. In a totalitarian government, being politically aware will enable you to see what is wrong with the system, and take steps to overthrow said system or at least make it better. Irrespective of the time we live in, politics remains relevant because it is the principal determinant of what governance is. And that is not just limited to the role that the government plays in our lives; it extends to the way we manage, or govern, our lives and the world that we live in. It is impossible and quite imprudent to live with no other concern than ourselves, because everything that happens around us directly or indirectly affects our own lives. Ignoring this fundamental fact can be disastrous. In the current climate, it is easy to see why many people turn their faces away from politics. The media is filled with a bunch of negative campaigning; you would especially be tired of the mud-slinging that the various political parties take part in. But it is important to understand that this is the very reason you should be interested in politics; if you don’t look beyond the sensational campaigns, you will easily be misled about what is actually good for your country, and in extension, for yourself.